The AGC group, under the management policy AGC plus, will aim for sustainable growth through adding value for all the stakeholders. Increasing the Groups’ corporate value for investors. We will achieve an improvement in sales and asset efficiency together. Strength of the AGC Group is its diverse resources and opportunities: technologies and production facilities for glass, electronics, chemicals and ceramics; a wide-range of market access such as building, automobile, display and electronic industries; offices and plants across the world; and extensive human resources. So far, ideas have tended to be come up with mostly based on technological standpoints of each business. Going forward, the AGC Group will strive to increase sales with the following three approaches by taking a market-oriented viewpoint and maximizing the Group’s diverse resources and opportunities. 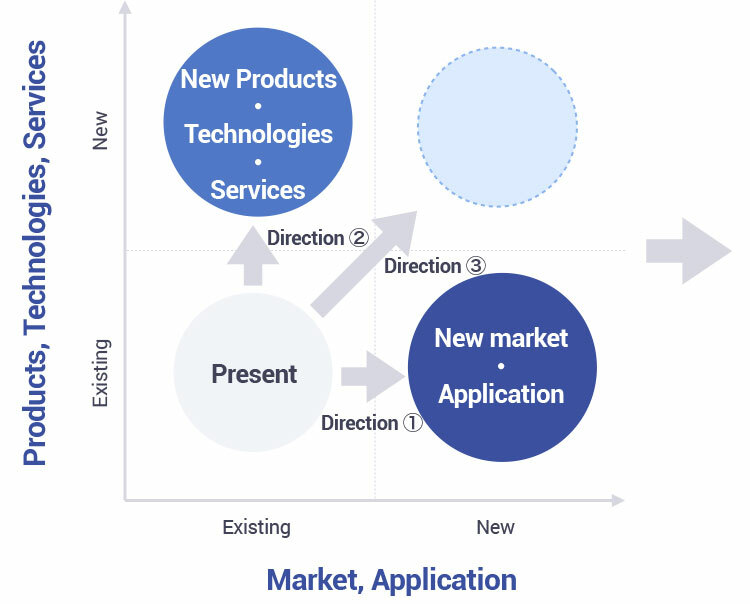 The first approach is to expand existing products, technologies and services into new areas, markets and applications. The AGC Group will push forward with development of new markets and applications for existing products beyond the domains of each business, by fully utilizing its extensive technologies and access to markets. The second approach is to launch new products, technologies and services for existing markets and applications. The AGC Group will not only provide new products to existing markets, but also unite all technologies of the Group to create new products without limiting the technologies to technical basis specific to each business. The third approach is to provide new products, technologies and services to new markets and applications. Though providing new products to new markets is a relatively difficult initiative among the three approaches, the AGC Group will focus on business development in this area from a long-term perspective. The AGC Group will clarify the strategic direction for each business based on the portfolio that has been created based on the profitability and growth potential of each business, and allocate management resources in a well-focused manner. In the architectural glass business, the AGC Group will continue its strength-building efforts and structural reform. With regard to future development, the Group will endeavor to increase asset efficiency and improve earnings by proactively using joint ventures rather than persistently trying to use the Group’s own resources. In the automotive glass business, we will solidify the Group’s market position as the global leader. 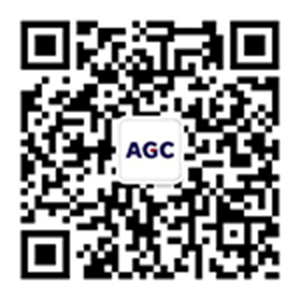 In the LCD glass business, the AGC Group will shift the production capacity to China which is growing rapidly, and reduce costs and keep the profitability. In the applied glass materials business, the Group will provide thin, light and strong glass in various markets, including electronics, architectural, automotive, solar applications. In the electronic materials business, the Group will maintain growth by concentrating the management resources in areas with growth potential. In the chlor-alkali business outside Japan, the AGC Group will take in the demand expansion of the growing Southeast Asian market. In the fluorochemicals business, the Group will grow on the globally increasing demand for high-performance materials. In the life science business, the Group will strive to increase sales by focusing on the expanding pharmaceutical & agrochemical market.